Field day and barbecue to celebrate Ngunawal caring for country and local Landcare. Living history, as told by a remnant corner of woodland, a tiny button Wrinklewort plant and a Ngunawal family who's ancestors camped on a creek by the side of present-day Capital Hill before the building of Canberra. 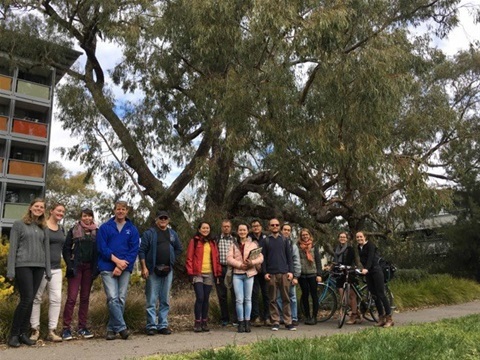 The Australian National University was recently awarded an ACT Heritage Grant to develop an Aboriginal Heritage Trail on the Acton Campus. This is a great opportunity to communicate the rich Aboriginal heritage of this area to the students, staff and visitors of the University.